I have four rescue cats and they have become cherished family members and devoted best friends. We get a kick out of their unique personalities. Cats, as a rule, are fairly self-sufficient and have a mind of their own. If they don’t want to do something, no coaxing will inspire them to comply. Cats don’t need acres of yard to run around in, but I have a built-in courtyard so they can get sunshine, roll in some dirt, and eat grass if they want. They also don’t need special beds; they’re quite content to curl up on a sun-drenched windowsill or on your lap. One of the less attractive responsibilities associated with cats is keeping the litter box fresh and odor free. 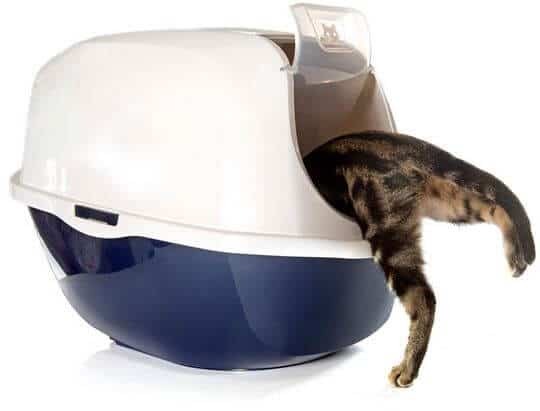 There are a variety of different styles of litter boxes on the market, so you’ll have to decide which one will work best for your pet. 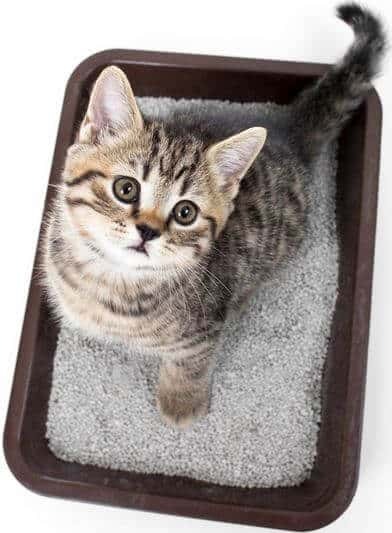 When placing the litter box, you’ll want to keep it in a far away corner so the sights, sounds and especially the smells do not permeate your home. Some cats might not like the place you’ve chosen for a litter box and abandon the location altogether and relieve themselves elsewhere. That convenient houseplant in the living room may seem more inviting than the litter box in the basement, or perhaps a hidden corner may be appealing. The odor of cat urine, when it has a chance to penetrate carpeting or wood flooring, can be difficult to remove. Therefore, it’s imperative to create a litter box environment where your cats will feel at ease entering. If they’re not happy, sometimes moving the litter box to a different area will solve any behavior issues. Try to avoid placing the litter box near noisy appliances which may unnerve your cats. Also do not place the litter box near a heat source, as it may exacerbate the smell and encourage the odor to spread. If you have more than one cat, some might not like sharing the litter box with other felines. The solution is more litter boxes. 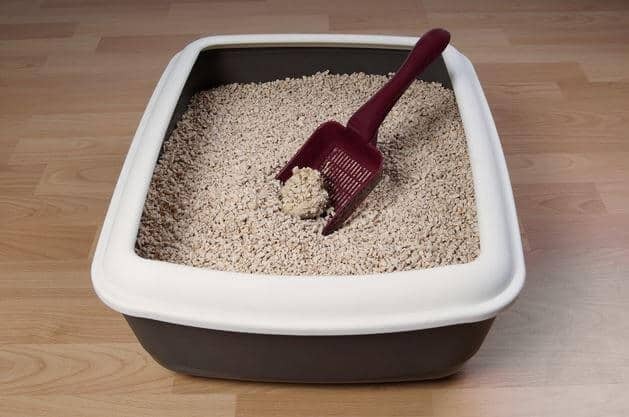 We have two litter boxes available for our cats to use and they seem to like these options. It may be tempting to mask litter odors with scented litter or by placing air fresheners nearby. But these may actually repel your cats from using the litter box and force them to find an inconspicuous place to relieve themselves. I personally never use scented products. I don’t think they are safe and they smell so artificial. I sprinkle the bottom of the litter liner with organic baking soda and then fill the box with a green litter. Some cats are picky so you may have to try different green brands until you find the one that works. Once they like a litter, they’ll behave and use it continually. The foremost way to prevent litter odors is to keep the litter box well maintained. Clean the litter waste daily and replace the litter weekly. Also, make sure there is plenty of ventilation around the litter area so that odors will not build and fester. It’s also advised to replace your litter box yearly. I use the liners so the litter box is just like new. But for those who don’t use the liners, cats can scratch the litter box leaving small crevices where bacteria can thrive and populate. This will make odors stronger and the box tougher to clean. Ultimately, if you’re going to have cats, make the litter area a clean and pleasant environment for them to enter. Finding the right balance with location and ideal litter material will go a long way toward having happy and well-behaved cats. Thanks for these tips. I do a lot of pet sitting. It will come in handy. When I got my cat from a rescue, they used wood pellets instead of cat litter. I bought a bag so she would have something she was used to. I thought that I would change back to cat litter once she was used to us. Well, I am still using Easter Ember Wood Pellets and I will never change back to cat litter! It has hardly any smell at all. When she pees, it just turn to like a sawdust. I would recommend this to anyone who has a cat. Thanks for your suggestion Elizabeth. I haven’t heard of these, but I’ll check them out. I do not own a cat, but I sure do appreciate when someone does and they care for that litter! A house I sometimes visit doesn’t and the smell hits you the second you approach the door. This is one of the jobs I don’t like to do but it has to be done, I should replace my litter box I haven’t for awhile now, thanks for the great post!! yes, looking after litter boxes in a multiple cat house is crucial- also don’t put the litter boxes anywhere close to the food – I don’t like to eat in the bathroom either,lol. something i really have to do is scoop daily! I tend to leave it for a few days then scoop or clean out fully if needed. we just have one cat so it doesnt get too bad! I’m glad I don’t have cats, I would like changing the little box. Thanks for the wonderful tips ,i have not run into any problems but its good to know for if you do. Great ideas, I don’t have any cats. Great article and great ideas.I don’t have cats anymore. Your suggestions are sensible and workable. My daughter has cats and has accommodated the litter boxes to the cats so she has few problems. Thank you so much for these hints.